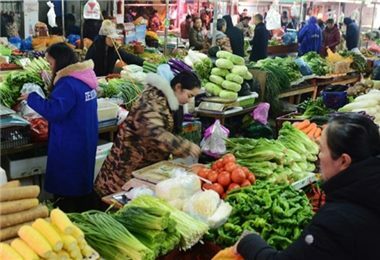 In Xinhuang County, Hunan, on the night of the Mid-autumn Day, an interesting custom of "stealing moon vegetables" is popular in Dong villages. According to the legend, the fairies from the Moon Palace then pour down the sweet dew to the mortal world. The sweet dew symbolizes selflessness. To symbolize the act, people share the sweetness of fruits and vegetables together. The unique custom is called "stealing moon vegetables". 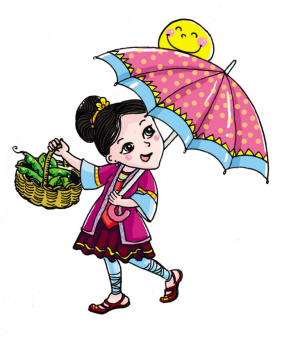 Dong girls hold pretty umbrellas and choose the garden or farm lands for their lovers to pick vegetables and fruits from. This is not regarded as stealing, but it is a unique way to express love. If they pick a twin vegetable or fruit, it signifies that they will have a happy life together. Married women also “steal moon vegetables” especially the fleshiest fruits and melons symbolizes birth of healthy and strong babies. Also, the vegetables can only be cooked and eaten in the wild rather than being brought home. 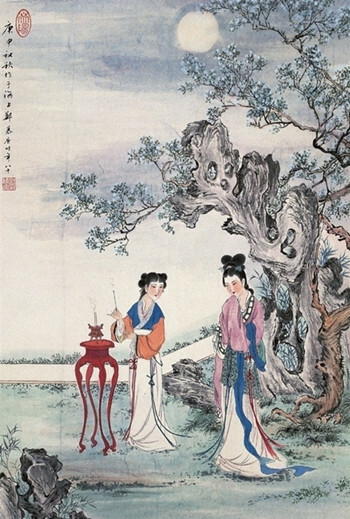 According to the legend of Miao people, a beautiful young girl named Shuiqing fell in love with an honest and diligent young man named Yueliang (moon in English). Having overcome a variety of challenges and sufferings, they ended up living happily together. 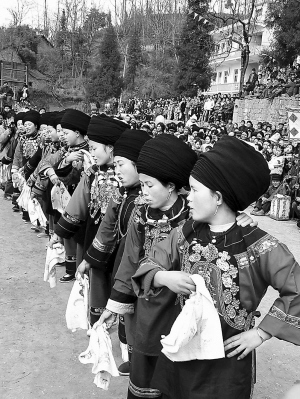 In memory of these loyal lovers, on the night of the Mid-autumn Day, Miao families get together to sing and dance under the moon, which is vividly called "moon dance" (Tiao Yue in Chinese). 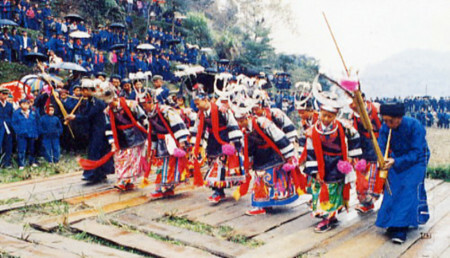 During the dance, the unmarried boys and girls look for their love. Moon cake is certainly the most typical and popular snack on the Mid-autumn Day, despite some areas in Hunan holding the custom of eating rice dumplings that day. 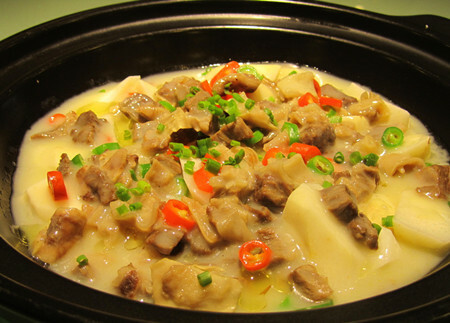 In addition to moon cakes, Hunan people cook certain dishes such as fried beef with Zizania latifolia, stewed beef with taro, duck, and water chestnuts, among which peeling taros signifies exorcising the evils. 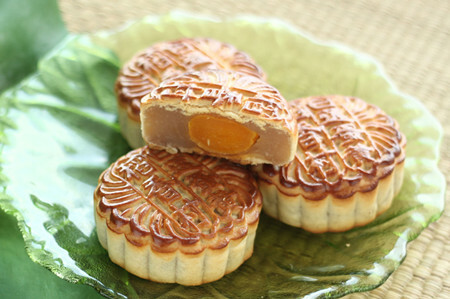 However, with high sugar content, the moon cake should be taken appropriately due to health concerns. Thus, tea is one option which can help digestion and ease greasiness, especially Anhua Dark Tea. 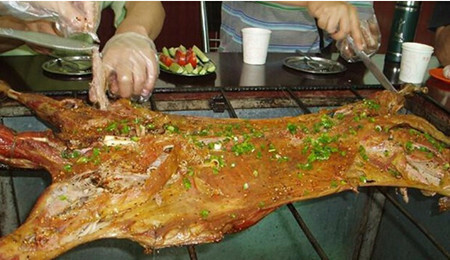 The custom of moon worship has been continued in Changsha since ancient time, despite a convention of “men not worshiping the moon, and women not allowed to offer sacrifices to the kitchen god”. For the moon worship rite, fruits and snacks are offered to the moon. Young girls take this chance to pray for love and bliss. 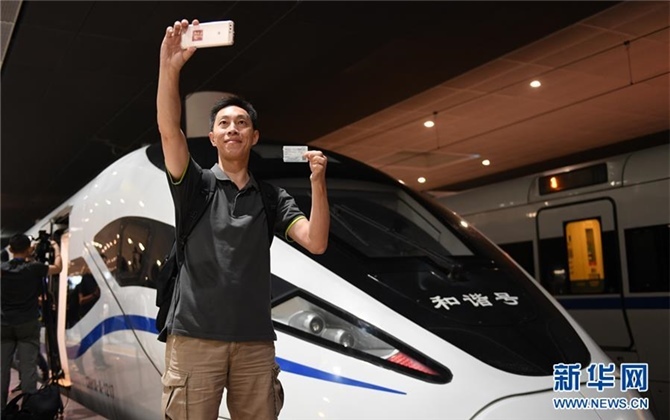 A Changsha focal song says that “when sweet-scented osmanthus are booming in the eighth month of the lunar calendar, married women come back to their parents’ home for a reunion”. 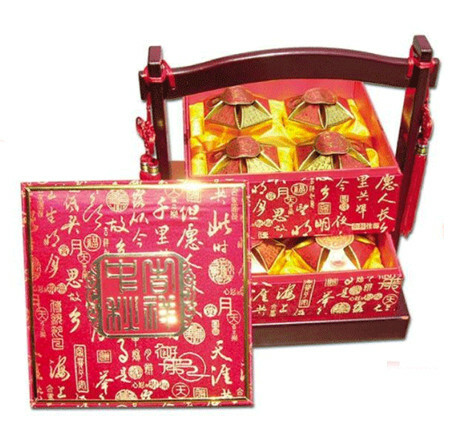 So, on the occasion, the women usually go to their parents with festival gifts like moon cakes and water chestnuts. The festival gifts are always presented among friends and relatives on the day. 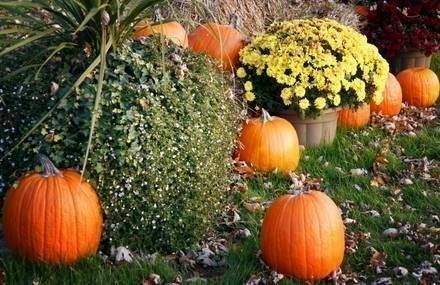 A convention of “son-giving pumpkin” is popular in some places in Changsha. On the mid-autumn night, pumpkin is secretly placed on the bed of the couples without child to signify “son-giving”, for the pumpkin produces many seeds. 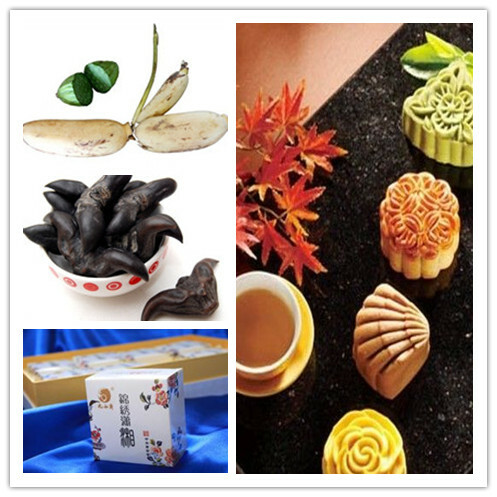 In the old days, snack workshops in Changsha began to prepare moon cake production when spring came. 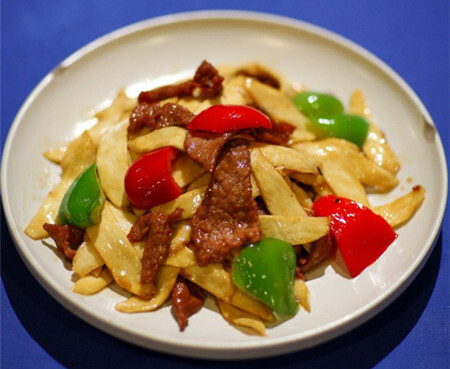 A lot of time has to be spent on the materials such as nuts, lard, hams, lean meat, as well as cooked sweetened bean paste, lotus paste, and jujube paste. 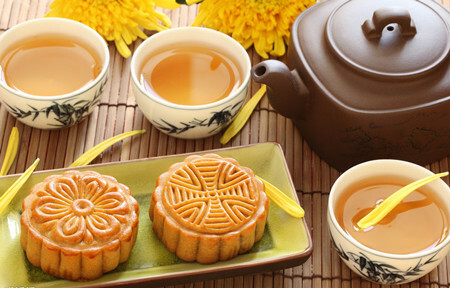 The period from the seventh lunar month to the mid-autumn day is the season of moon cakes. With Su-style moon cakes of Jiuruzhai and Shao-style of Sanjizhai being most popular, Changsha’s moon cake varieties was rather limited until 1930s. 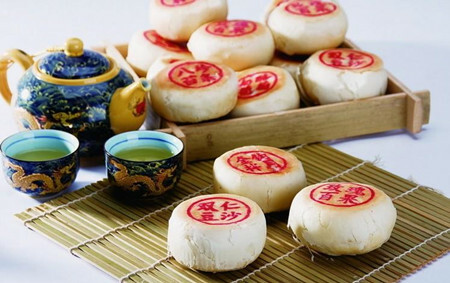 When the first Cantonese restaurant opened in Changsha, Cantonese moon cakes were introduced which have been gradually accepted among Changsha customers. 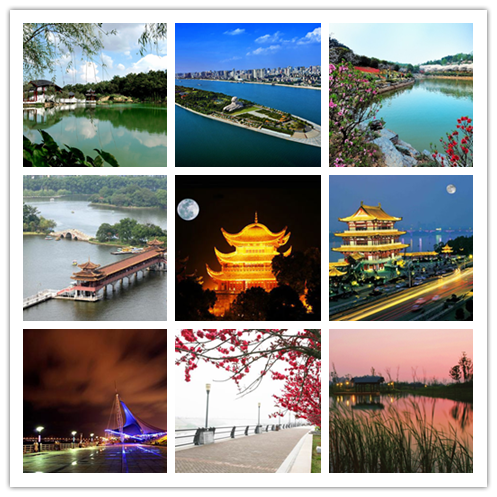 Water chestnuts, lotus roots, green bean cakes and mint cakes are popular snacks in addition to moon cakes for the festival. “2014 Orange Isle Music and Food Week” is to be launched during this Mid-autumn Festival at Orange Isle Beach Park. 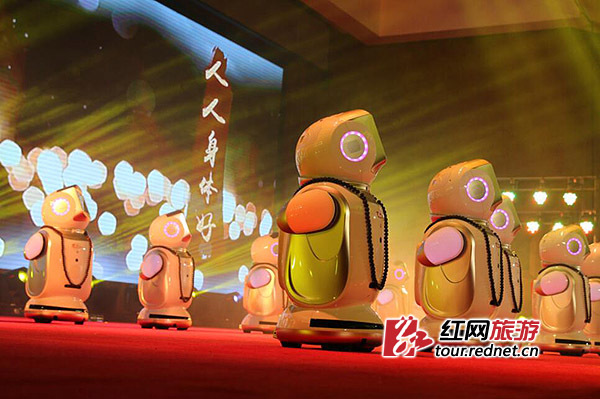 The Orange Isle, reputed as “Changsha Maldives” and featured with unique holiday culture, will provide a feast of music and food for the citizens. Content: Hunan folk musicians and string players will provide a music feast at the 30,000 square meter grassland. 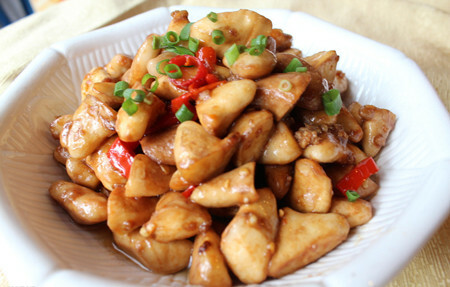 The Fish Restaurant will specially provide mid-autumn reunion dinners with both indoor and outdoor seats. The Brazil Barbecue Restaurant highlights its holiday menu with roast whole lamb and roast suckling pig as main dishes. 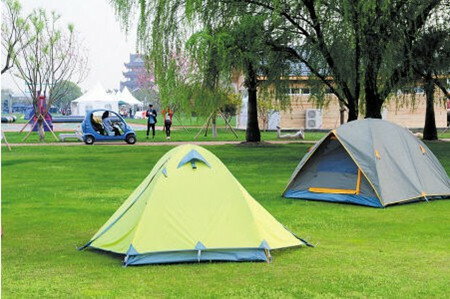 Content: The 4-day camping fest will be held at the largest urban camping base in China. Tips: Haagen-Dazs ice cream will be given to the visitors booking any activity of the event. And delicious moon cakes are prepared!